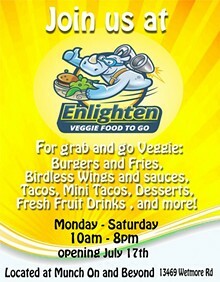 Enlighten Veggie Food to go is dedicated to providing nutritious, flavorful and unique vegetarian options in San Antonio. They specialize in Burgers, Wings, Tacos, specialty drinks like Chilean Boba Tea and Aztec Chocolate, and frozen treats. 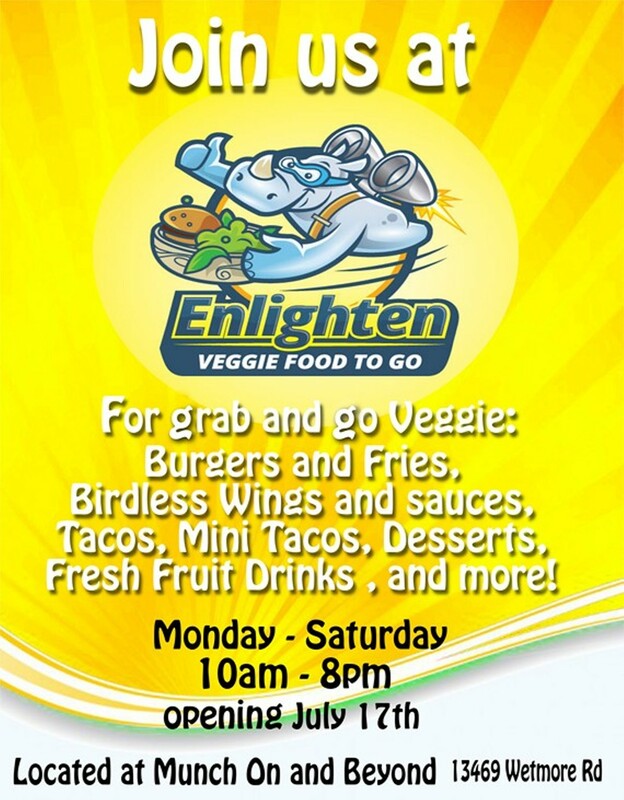 The Grand Opening will feature many free samples from the menu.